Legull is designed for those of you who don’t want to hire a lawyer to write your terms of service document yet. The plugin lets you change site name, owner’s name, and information regarding your business entity. 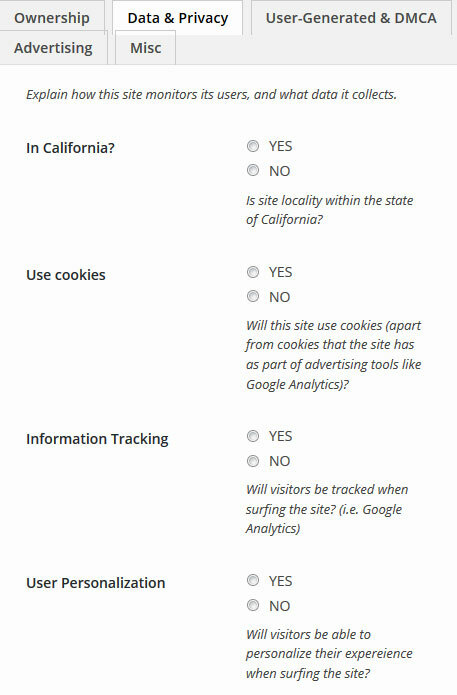 It also has a page for you to disclose how your site monitors its users and what data it collects. Drive Traffic To Your WordPress Site with Viral Tweets!